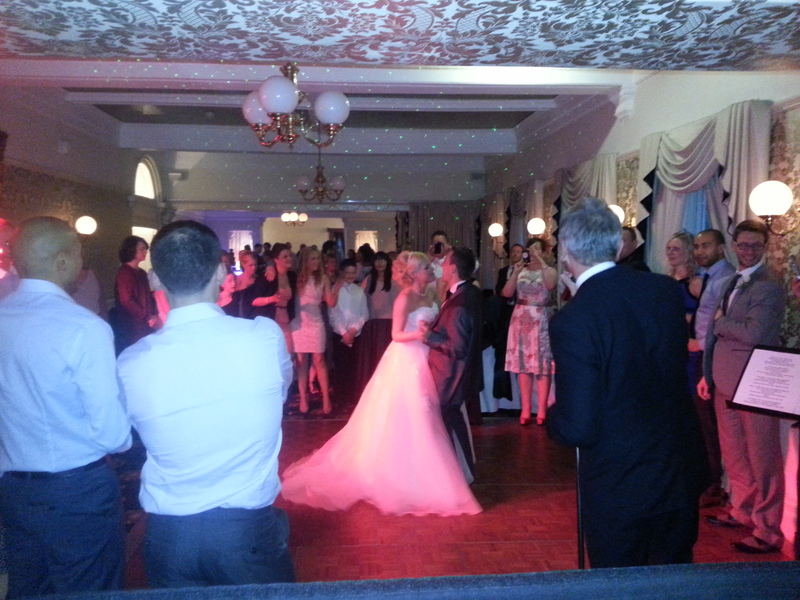 13th April ’13 – Was pleased to be involved in the wedding party of Mr & Mrs Thomas at Bartle Hall hotel near Preston. 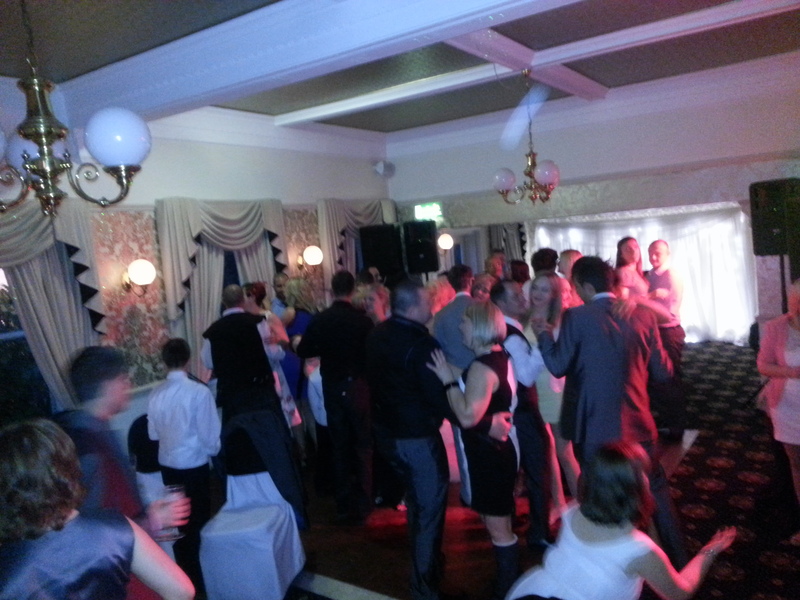 I was there as the wedding DJ, providing the disco from 7.30pm till midnight. We also had 2 of our fun casino tables running from 5pm (from the end of the wedding breakfast) through till 7pm as some peripheral entertainment in the Garden room. Our blackjack & roulette are very popular for wedding parties to fill this gap after the wedding breakfast through to the early evening. We had one of our fab chocolate fountains flowing in the main room (the Windsor suite) from 9pm till 11pm. My good friend & everybody’s favourite wedding singer Mr Paul Guard was performing 2 sets of live music. 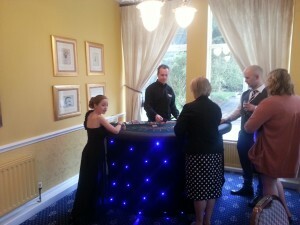 The first was in the bar area in the main hotel at Bartle Hall, keeping guests entertained before the evening reception actually started. (6.45pm till 7.30pm). 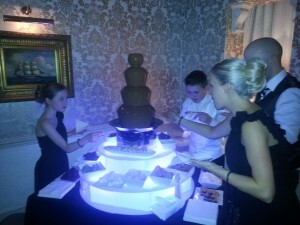 Then guests came through into the Windsor Suite for the evening. Around 8.15pm, I invited the bride & groom up to cut their cake & perform their first dance. Paul actually sang the first dance live which was ‘Lets stay together’. 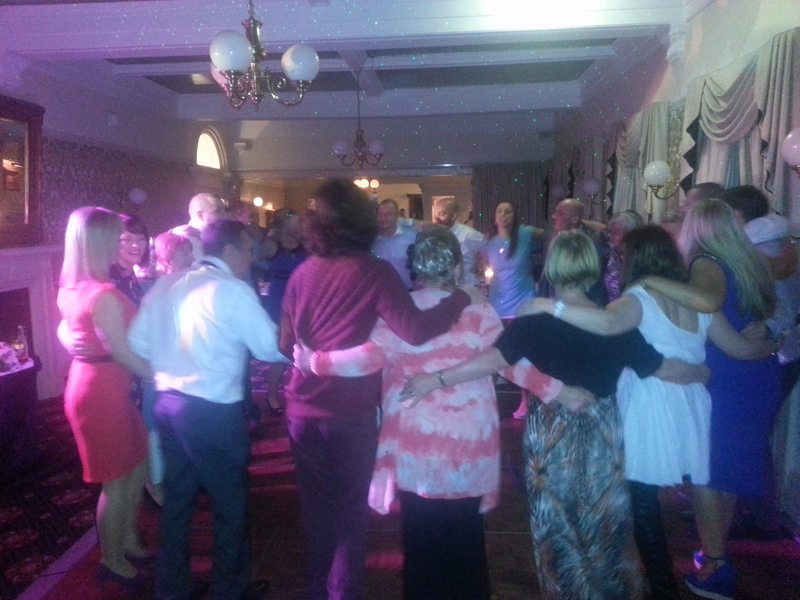 This led into Paul’s second set of music which kept guests dancing through till the buffet, which was a hog roast just outside the Garden Room. After food, it was time for the main disco, played the usual favourites through till around 10.15pm when it was time to put on a pre mixed CD which the groom & his mates had put together. It was 90’s funky house which quite a few of their friends were into & kept the dance floor busy for 50 minutes or so. Then it was back to some of the classics before a big finish to New York New York! All the very best to Mr & Mrs Thomas! 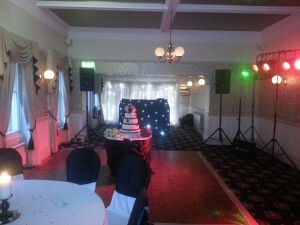 So, if you’re looking for an experienced wedding DJ who will tailor the disco to your requirements on your big day at Bartle Hall (or throughout Preston), email your enquiry to andy@andybevents.co.uk As a guide, prices start from £250 which covers playing times of 7pm till midnight, then £30 per hour for any additional time. 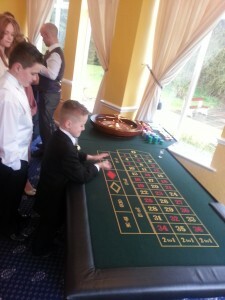 If you are thinking of hiring several other services/products such as casino tables or a chocolate fountain, I may be able to put together a package price for you. As a guide, the 2 casino tables cost £395 (complete with funny money, chips, croupiers & a bottle of bubbly for the winner) for 2 hours gaming.